Spaniel Ballet caused a sensation with their appearances on Top of Pups in the 80's. 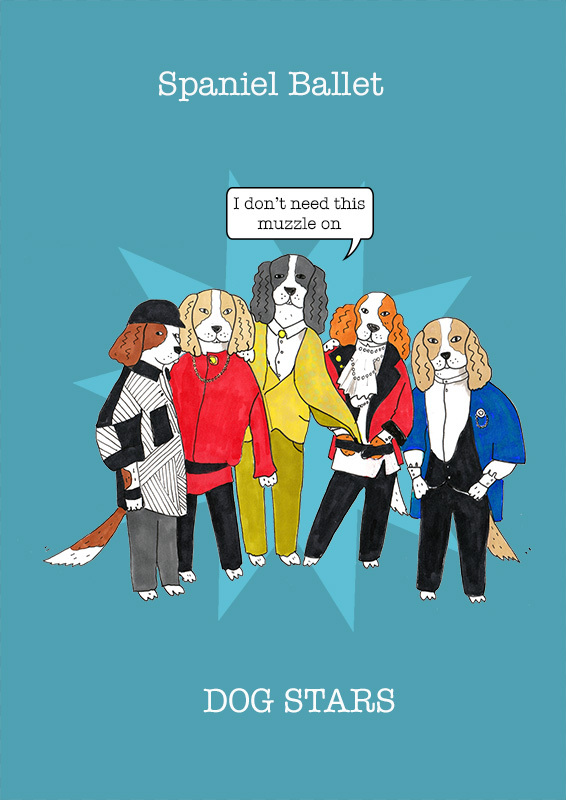 The songs 'To Cut a long Walkie short' and Chant no 1 (I don't need this muzzle on) set Spaniel Ballet on the road to doggy stardom before the multi platinum smash hit 'Poo' cemented their place in the Dog Stars hall of fame. 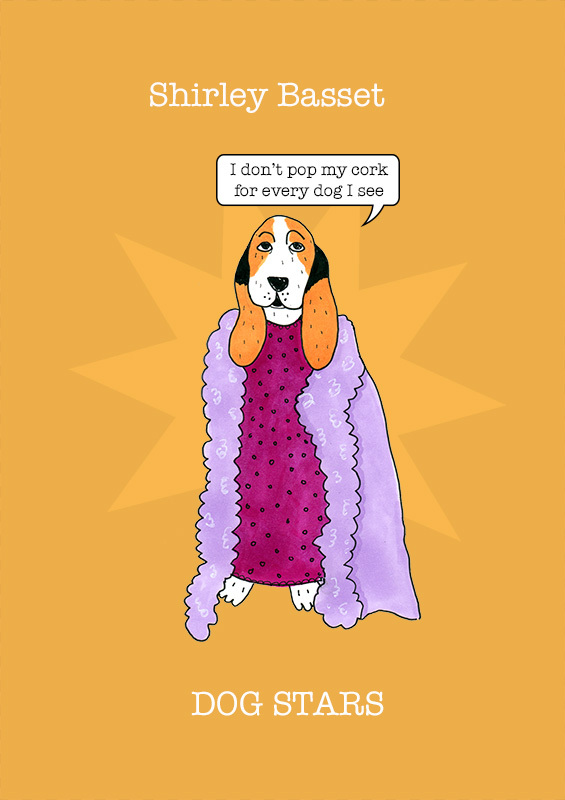 You can buy these Dog Star cards from my Etsy shop, and from mid November, they will be in Paperchase!! 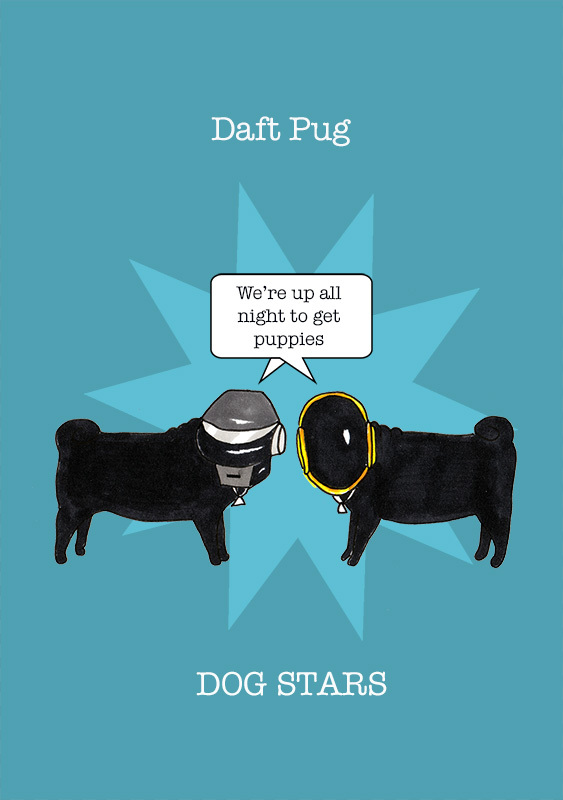 Daft Pug are a French house trained music duo consisting of two mysterious pugs. Masters of disguise they rarely appear in public as themselves, leading some to critics to claim that they are actually a pair of Alsatians from Basildon. 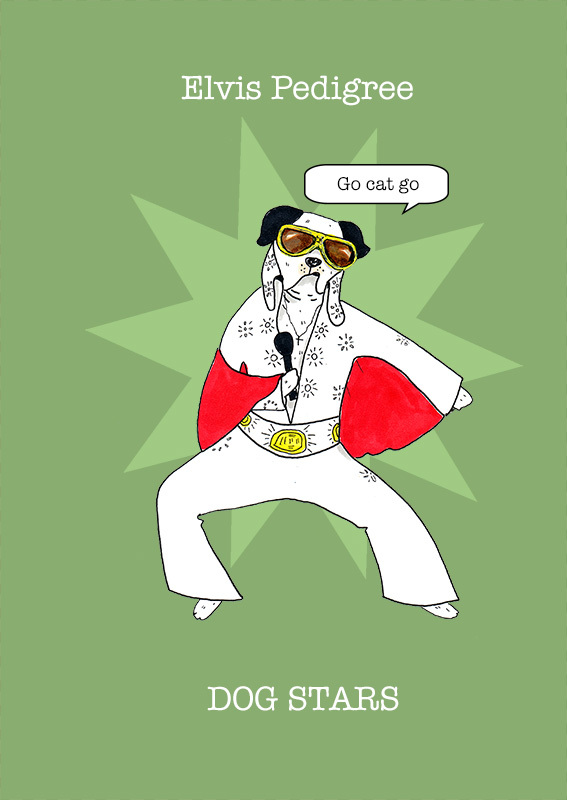 Influenced by Crusftwerk, their first album, 'Dogscovery' featured the top kennel club tunes 'Get Puppies' and 'One Paw Time'.